We love dog-friendly baseball games! We get to run in the field, eat hot dogs, hang out with our doggy friends, and did we mention eat hot dogs?! Earlier this year we checked out the Mets at Citi Field. 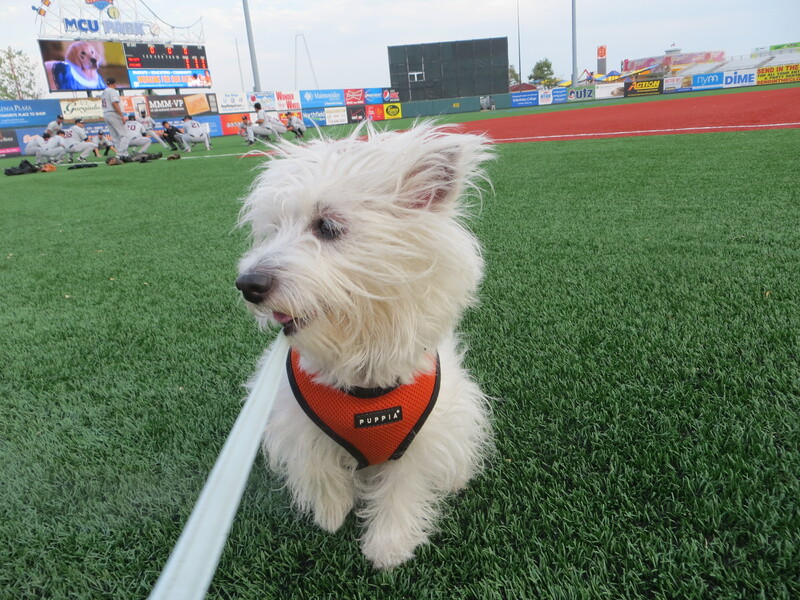 Last night, we headed to Brooklyn for the Bark in the Park with the Cyclones. The game is held at MCU Park in Coney Island. The Mayor’s Alliance for NYC’s Animals had adoption vans with cute adoptable animals. We sat in the bleacher section, which was renamed the “BOW-WOW zone” for the night. Doggy disco walking the field in the dog parade! Upcoming Bark in the Park with the Mets will be held on September 9 and 14 at Citi Field.